Glass is now very much in-vogue within the home and garden. Many people are using glass as a feature instead of, or alongside, timber and other materials to enhance their homes with balconies and balustrades for example. 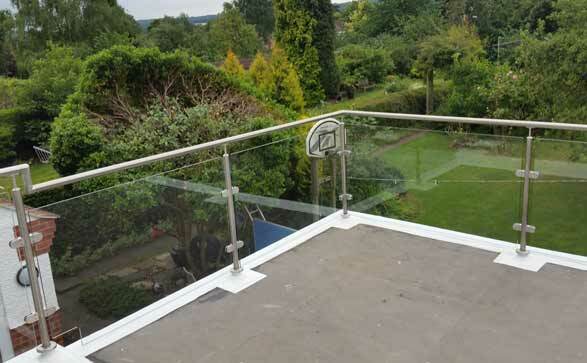 Glass balustrades for staircases, garden verandas and patio areas are now a very popular feature in the home and garden as well as in commercial premises; as are Juliet balconies. Melton Glass Ltd is able to provide a full supply and installation service or supply only, including fixing furniture. When dealing with Melton Glass Ltd, you are not paying for expensive TV and magazine advertising. What you get is a competitive price and a quality service. We also carry out commercial contracts, blocks of flats, hotels etc. As with all our products, we offer a free, no-obligation quotation service. If it can be done in glass, then we are surely able to fulfil your requirements – don’t hesitate to contact us today. Contact Melton Glass to arrange a free, no obligatory survey and quotation.